MORE THAN HALF a million people had penalty points on their driving licences this year. Information released to TheJournal.ie through a Freedom of Information request found that 582,738 people had points on their licences on 30 September 2017. 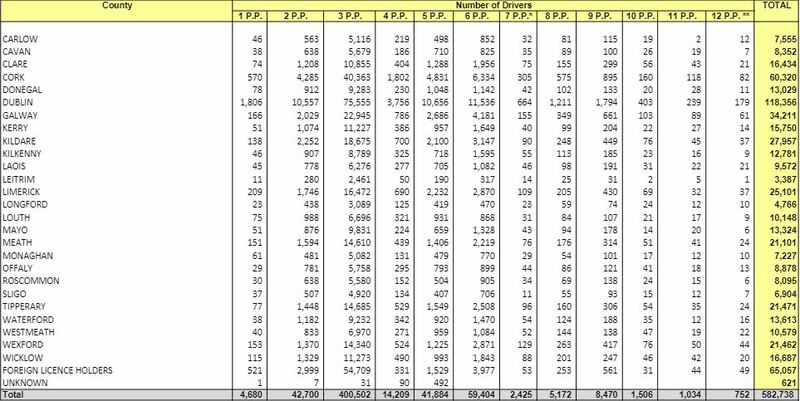 The highest number of points were in Dublin (118,356), followed by Cork (60,320) and Galway (34,211). Foreign licence holders made up 65,057 of the penalty points recorded. The information provided by the Road Safety Authority also gave a breakdown of the number of penalty points drivers had on their licenses. For a larger image of the above table, click here. Overall 19,359 drivers had seven or more penalty points but just 752 drivers had 12 penalty points. 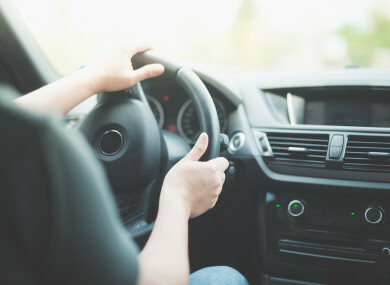 Being issued with 12 penalty points results in disqualification for six months, while novice and learner permit drivers face disqualification if they receive seven points on their licence. The counties with the lowest number of drivers with penalty points on 30 September were Leitrim with 3,387, Longford 4,766 and Sligo 6,904. The figures give a snapshot of penalty points in Ireland, as they show the number of penalty points drivers in each county had on 30 September. As penalty points stay on a driver’s licence for three years, these points could have been given at any stage over the past three years. Email “County breakdown of 582,738 penalty points on driving licences ”. Feedback on “County breakdown of 582,738 penalty points on driving licences ”.